Recently, one of the easiest and effortless hairstyles is the bun. I mean, you can wear it for any occasion depending on the type of bun, from a casual hang out, going to the near store, a beach party or even a wedding, buns are always suitable! Very cute, very effortless and quick to do! All you need to do is gather your hair up into a loose ponytail, but before securing with an elastic band, you need to twist your hair and start wrapping it into a bun. Remember, the messier the better! So you don’t have to make it too tight, you can even leave a couple of strands stick out. Once you’re pleased with the shape, secure the bun with an elastic and play around with it until it looks cute. For a messier result, you can even tease your hair a bit. This bun is suitable for many occasions, like going out, going to school, or even just running errands. Great thing about this bun is that it’s very quick to do if you’re in a hurry, and you can achieve a cute result even if you haven’t done anything to your hair (straightening, curling, etc. ). This one is very classy! It looks extremely beautiful and defines your face shape. It’s not very hard to achieve this look. You only need to gather your hair again into a tight ponytail, it’s recommendable that you brush through your hair with a comb to smooth out any strands of hair that might be sticking out. Then secure the pony tail with an elastic band. Take the ponytail and start twisting it tightly into a bun. After that secure the bun with another elastic. Feel free to use bobby pins to tame any hair that’s sticking out. And, of course, for a smoother finish you can smooth out everything with some hairspray. And voila! Very classy, you can even combine the hairstyle with big gorgeous earrings and there you have it! 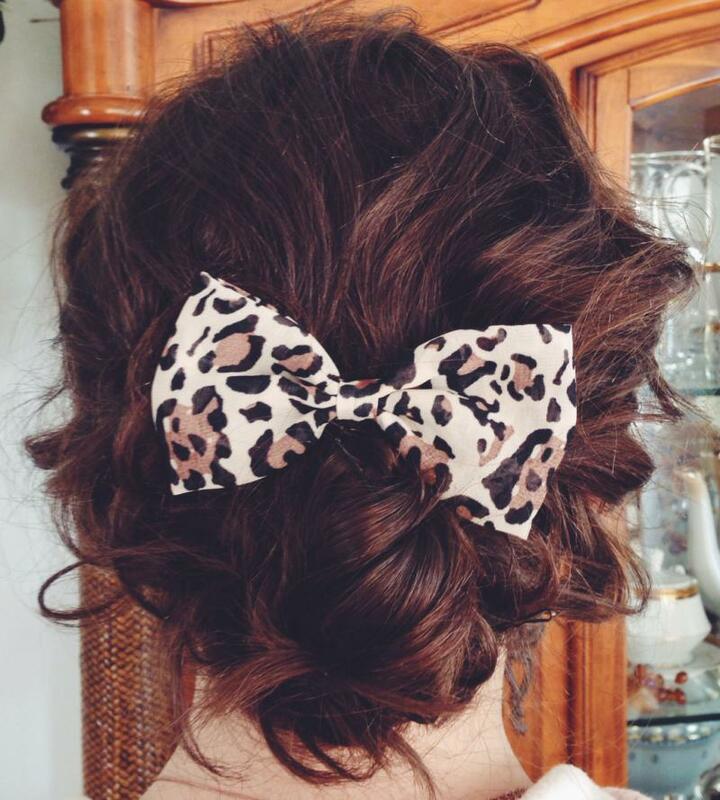 A beautiful hairstyle for a fancy date! It’s also very suitable for going out, shopping, going to fancier places or any kind of formal event. If your hair is a bit too short, or you’re not satisfied with the volume of your hair, the bun doughnut is here to the rescue! It’s so easy to use it and it gives your bun the volume and puffiness you desire. You can buy a hair doughnut pretty much anywhere now, but if you can’t find one you can always improvise with a clean sock. All you need to do is take a clean sock that you don’t need, cut the end of it and wrap I so there would be a hole in the middle. You’re basically making a DIY hair doughnut. And that’s it. Now when you have your doughnut (or improvised one) tie your hair into a ponytail (it can be either tight or loose, depending on the look you’re going for) then take the doughnut and pull your hair through the hole. Once that’s done, cover the doughnut with your hair, so it’s not visible through the hair, then wrap the hair around the doughnut and secure everything with either an elastic, or just use bobby pins. And there we have it! Problem solved! This bun is very playful and you can accessorise with it! Before you start, curl your hair with a curling iron. Make the curls somewhat tight. Let your hair cool and then spray it with hairspray to set the curls. Once that’s done, take two strands of the hair that frames your face and twist them to the back, then take all of the hair and twist it into a messy low bun. Then, secure the bun to your head with lots of bobby pins (of your hair is thicker or heavier, use an elastic band but tie the bun loosely and then pin it with bobby pins to your head). And there it is! For an even cuter effect, add a cute bow clip in. And there you have it! 4 different buns for any kinds of occasions!